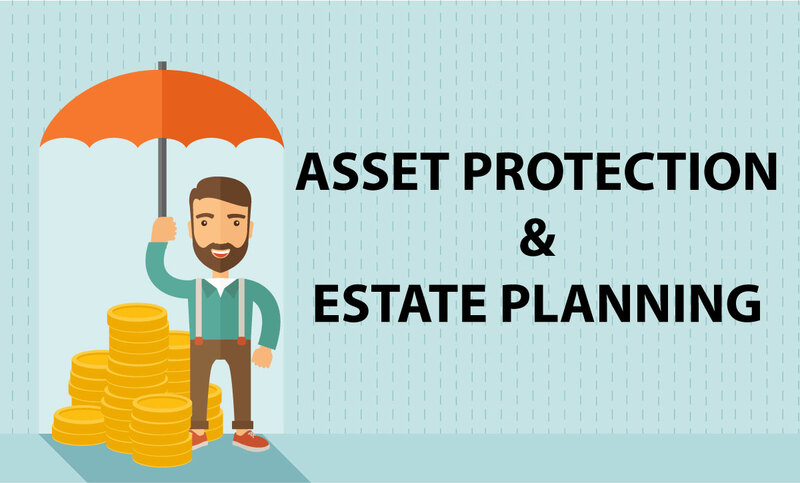 Asset Protection & Estate Planning – Sage International, Inc. There are a lot of asset protection gurus who hammer on the importance of protecting your assets from negligent lawsuits. It’s certainly a valid consideration, however, I’m more interested in sharing the many other reasons that you need to consider formulating an asset protection/estate planning strategy right now. Are you more likely to be sued for negligence or pay income taxes since the IRS is our number one guaranteed creditor each year? Are you more likely to lose money in the stock market or have long term care expenses? Are you more likely to pay capital gains taxes or default on an important contract? Are you more likely to get a divorce or receive a fine for violating any one of thousands of federal or state laws – such as environmental protection, fair housing, or Worker’s Comp? Are you more likely to suffer a catastrophic illness such as the crippling, chronic conditions such as senility, Alzheimer’s disease, severe arthritis, osteoporosis, the long-term effects of a stroke or file for bankruptcy? Are you or a loved one more likely to experience a disability like stress, diabetes, heart disease, chronic pain, cancer or a nasty automobile accident causing a financial hardship often worse than the financial loss from a death or live 20 years beyond retirement? The Simple Truth. You may feel safe and secure but you can never be certain that your lifetime’s accumulation of wealth won’t suddenly disappear tomorrow. No matter what our lifestyle or occupation, or how prudently we act, we all flirt with liability and financial disaster. The Key is Risk Recognition. In other words, asset protection is based on the recognition of risk and how to structure your holdings to reduce your exposure to risk. The key to risk avoidance, is to recognize that attacks on your assets can come from virtually any direction. The goal is to preserve wealth over time against numerous unforeseen circumstances by implementing correctly and conservatively, without the intent to defraud or harm anyone. Asset Protection is both Lawful and Smart. You have an obligation to yourself and your family to protect and preserve everything you have worked so hard to create. It is important to set up legal and defendable plans using the law to your advantage. And it must be a life-long process. Your financial picture constantly changes as you acquire or dispose of assets. Also, the risks you are exposed to may change as well as your financial objectives and priorities. Thorough and periodic reviews will ensure your plan is updated and that you do not become vulnerable. Include Your Whole Family. Develop your plan with those family members who have an active interest in your assets and who may have to react to potential problems with speed and decisiveness. A lack of communication can be disastrous. The Essential Element is ACTION. I have spent the last 24 years and dedicated my life to the production of educational resources and entity establishment services (the tools of wealth) enabling people to gain this valuable knowledge. I’m called the Wealth Protection Diva because as a lifelong learner, I have become a walking encyclopedia of all the tools, techniques and tactics used to safeguard assets under all circumstances. But I need to ask you a question. If you have all the information, yet fail to act upon it, how much good does it do you? The SageFacilitator® Program. I hope the above general discussion has triggered some thoughts in your mind as to the advantages and the necessity of building a secure asset protection/estate plan for yourself and your family. The key is to design the proper plan to fit your needs. Through my one-on-one consulting you will gain the knowledge along with a clearly defined roadmap laying out the specific action items needed to get the work done. This includes items handled either by Sage, my fabulous network of professional advisors and certainly some things you need to get done yourself. Peace of mind happens because of the built-in follow up and accountability measures I have established to keep us moving forward.